Tim Thompson is a renowned oil painter whose work is in the collections of many British, American and European Captains of Industry. The brief for this website included a new website, exporting the products from their old website, a domain change and SEO work. This was another project where we were given design freedom and through various meetings the client was pleased to approve a stylish, avant-garde theme for the project. 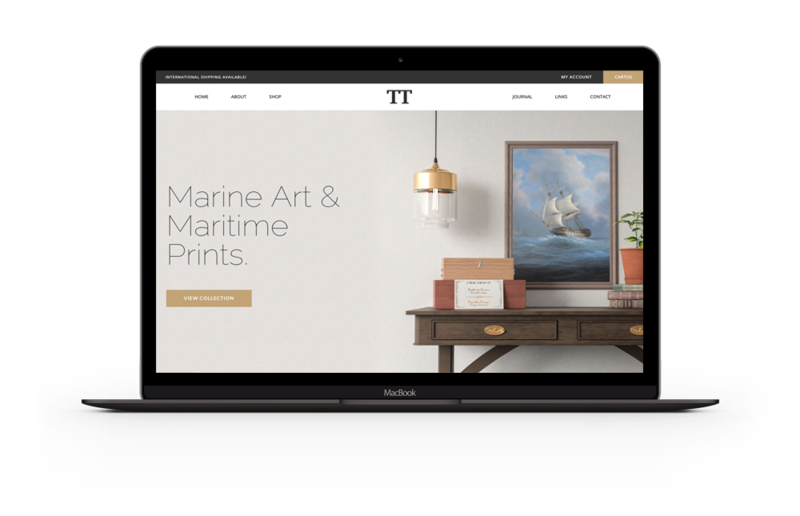 They were extremely pleased with our ability to create a website which exceeded their expectations and provided an elegant platform to display Tim’s work. We focussed heavily on the visual mockups of the tables, chairs and settings and this paid off immensely. As you browse through the website you will notice Tim’s work in various settings. We felt creating these mockups and showing the artworks actually in place in a room or den would be visually appealing and benefit both the user and the client. Tims main requirement was a streamlined ecommerce and shipping solution to reduce time spent on emails or invoicing. From importing well over 100 products, creating and writing content, graphic design work, social media and marketing assistance this project was both successful and enjoyable.